, by Moore, Deborah D.
A girl with nothing to lose is sent back in time to reconcile the past mistakes of an 800-year old sorceress. Morgan, a powerful 800-year-old sorceress, wants to make amends for the bad things she’s done during her long life. She has perfected a spell that opens a gateway to the past - the only problem is that she can’t return to a time she’s already lived through. If she does, both her younger spirit and her current form would cease to exist. The only solution is to convince someone to travel back for her—someone that wouldn't be missed if things went wrong. Sage Aster doesn’t really believe that Morgan can send her back to the past, so as payment for the kindness Morgan showed her when she was homeless and alone, Sage agrees to the time travel experiment. 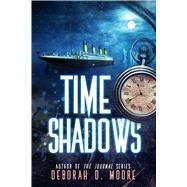 She is then stunned to find herself transported back to 1912 aboard the doomed Titanic. Again and again Sage is sent back to different timelines, never quite knowing what she is supposed to accomplish—or how to make things right. Deborah Moore is single and lives a quiet life in the Upper Peninsula of Michigan. She was in Detroit, moved to a small town to raise her two sons, and then moved to an even smaller town to pursue her dreams of being self-sufficient and to explore her love of writing. Now on her tenth published book in three years, Deborah has found that dreams do come true and she is enjoying life more than ever.